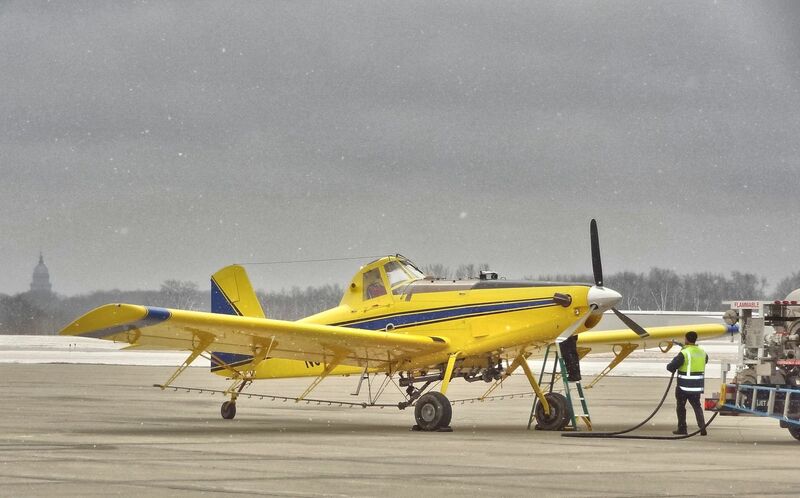 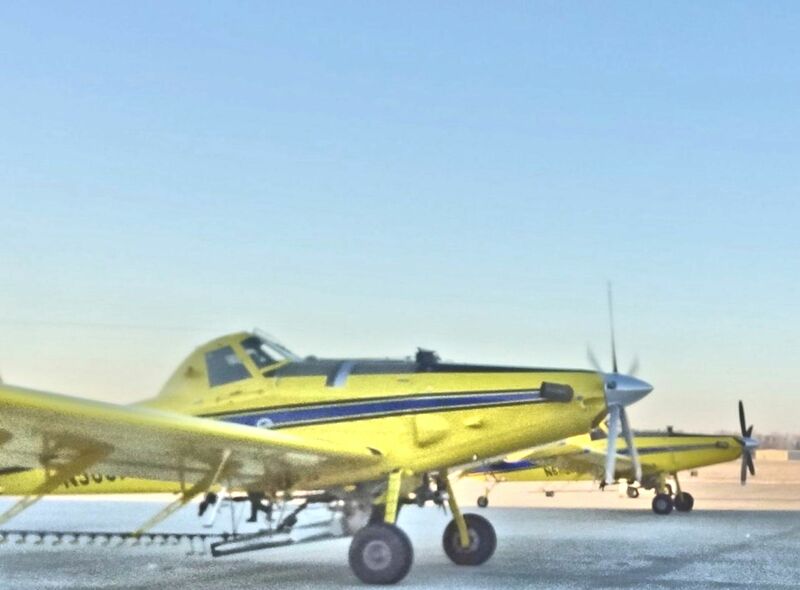 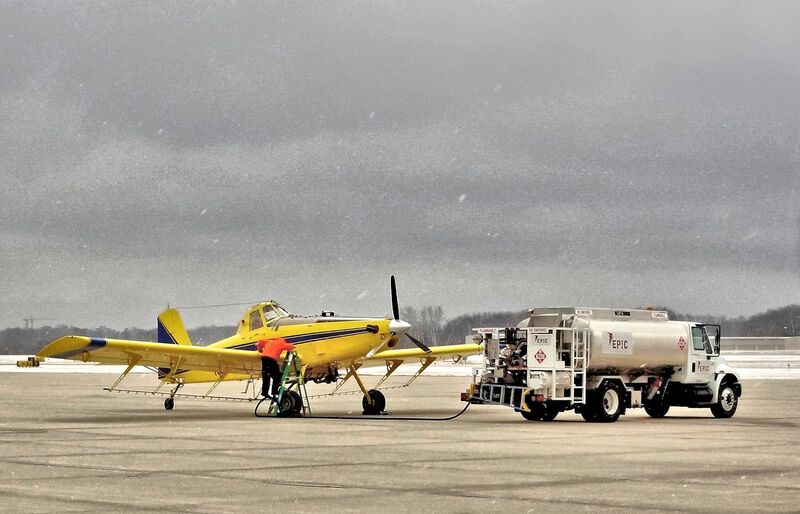 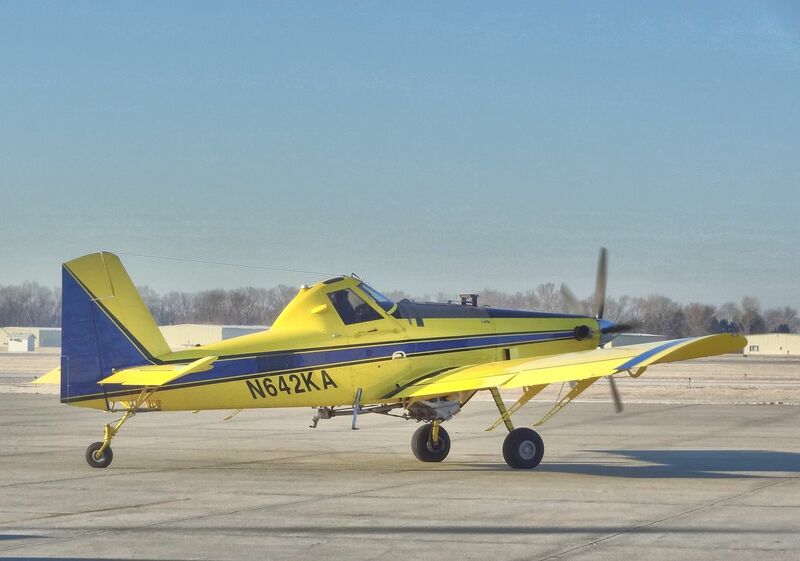 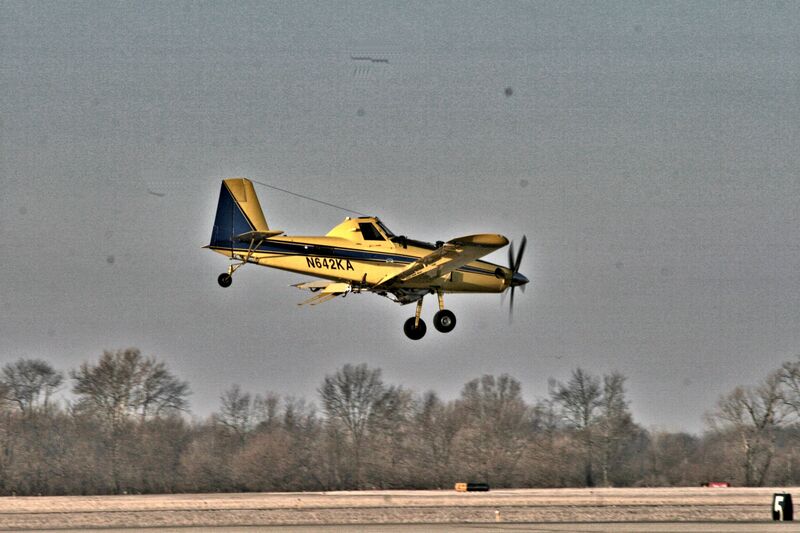 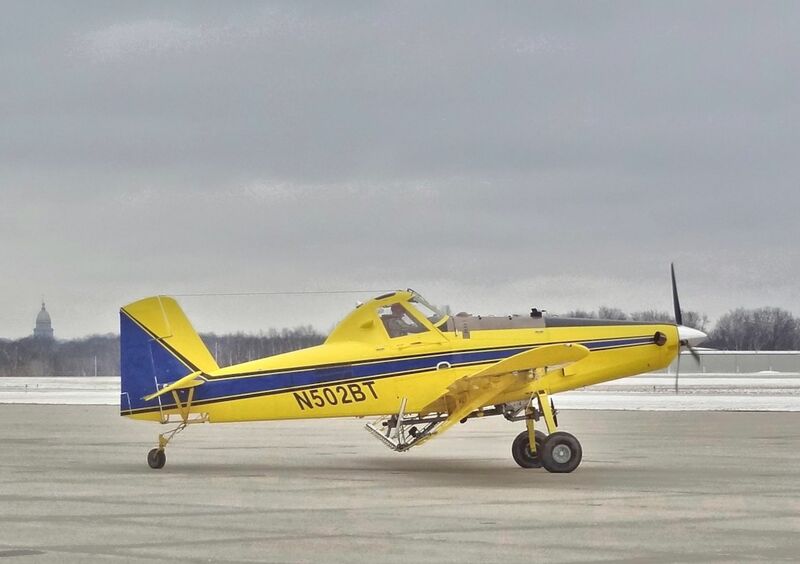 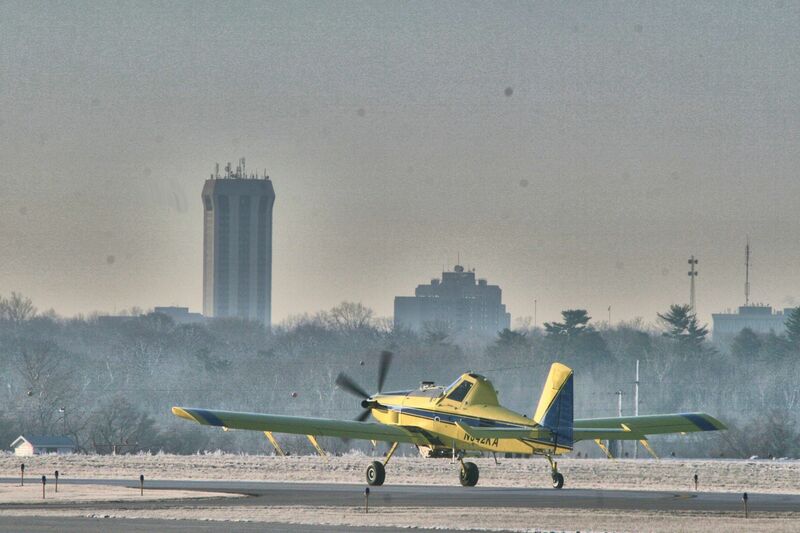 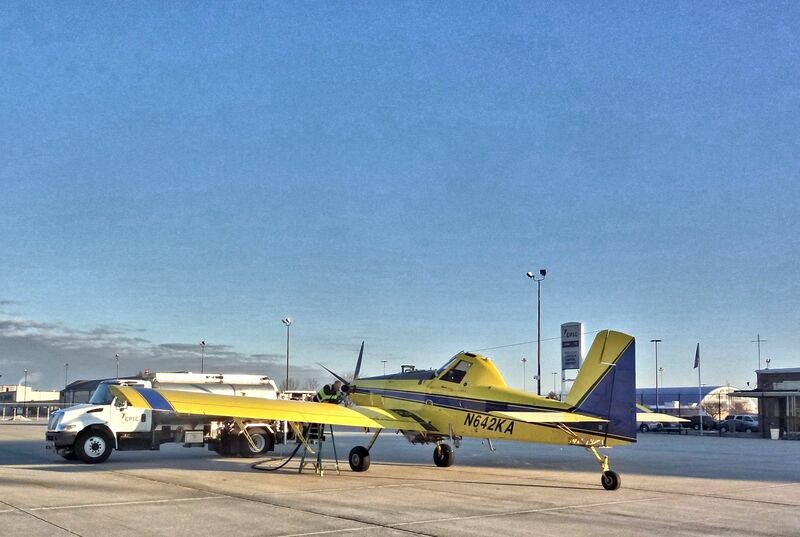 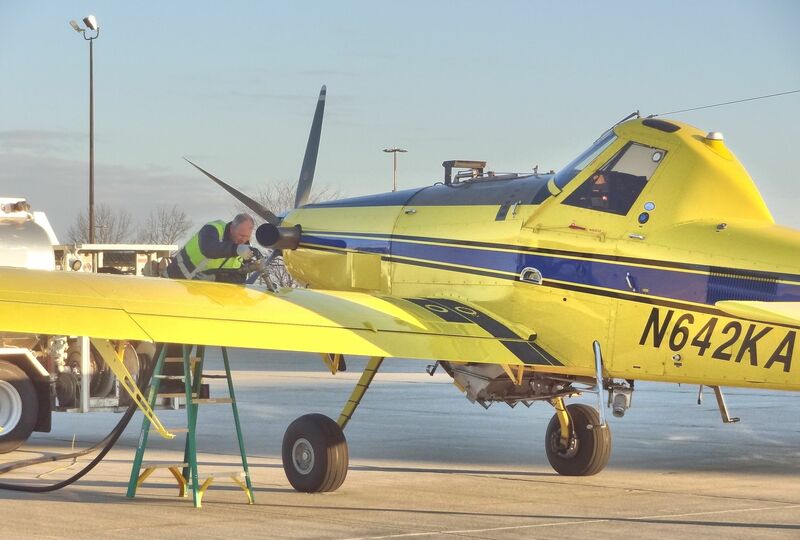 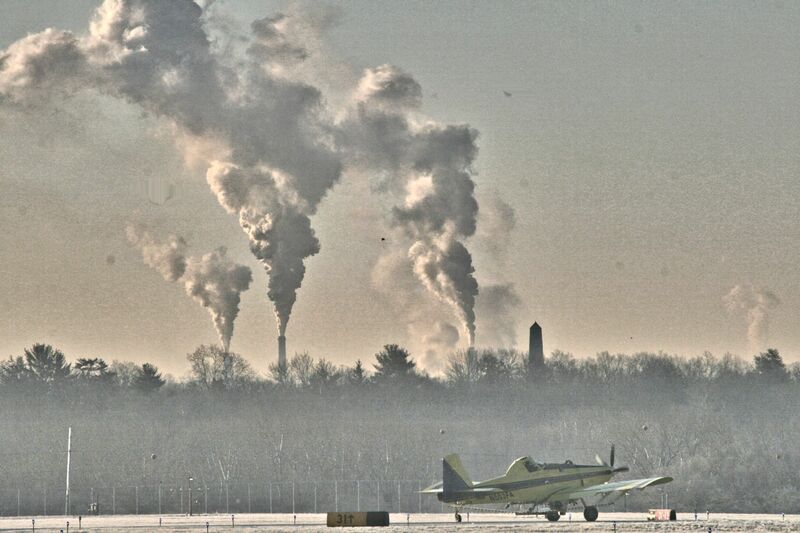 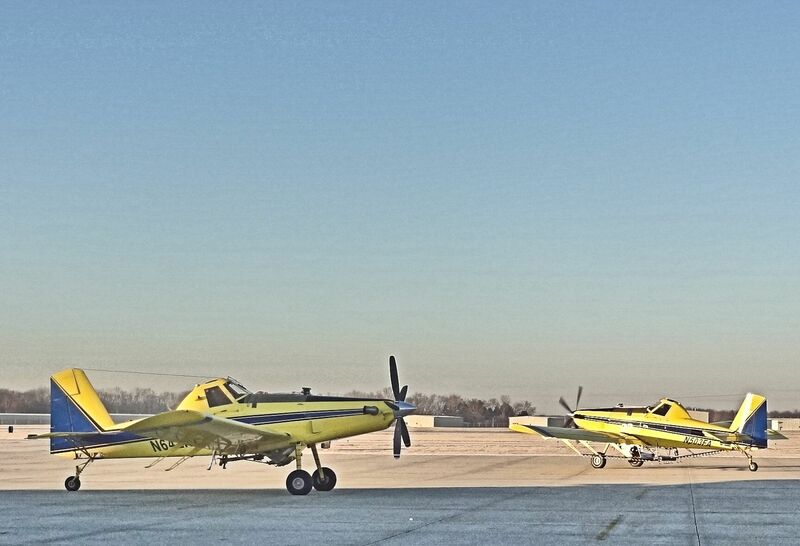 On March 12, 2014, I took a few pictures of this Air Tractor AT-502B being fueled and taxying to takeoff. 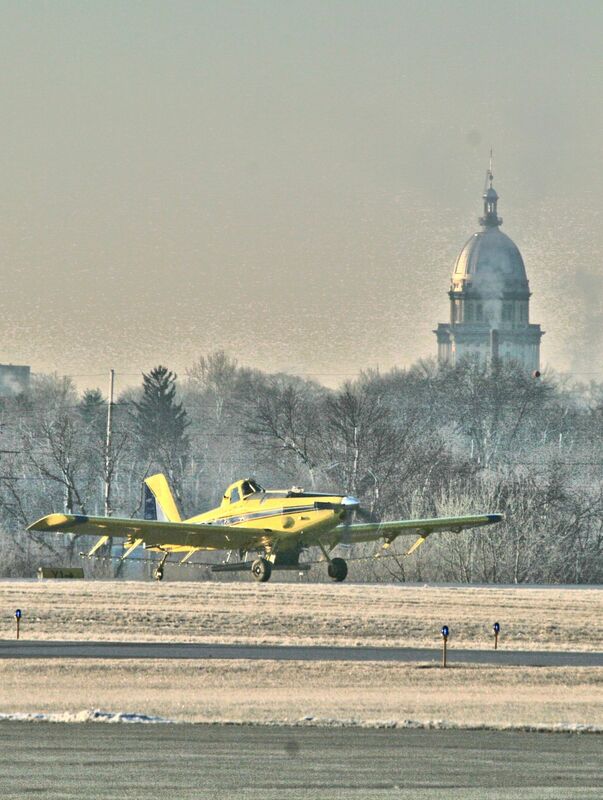 The weather improved the next day when an AT-802 and 602 departed Springfield, Illinois’ Abraham Lincoln Capital Airport. 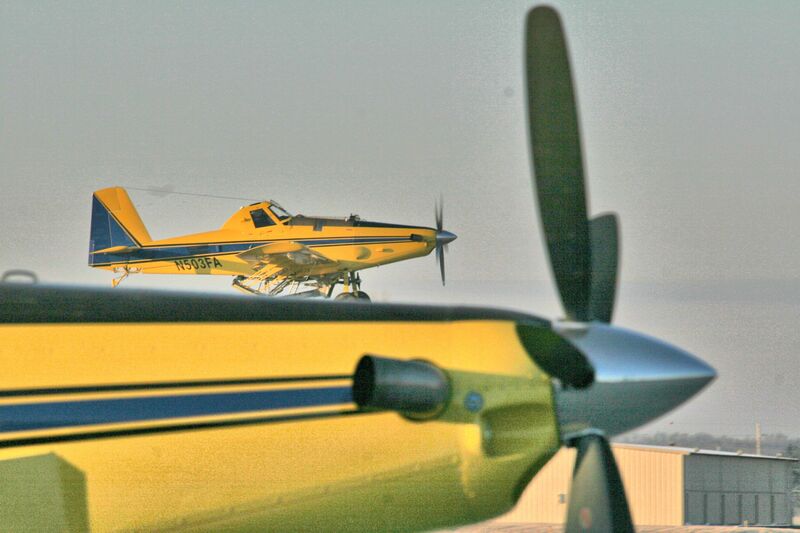 As I panned with the bird taking off I realized I might get a lucky view of the two if I timed it right . . . . . . and I did. 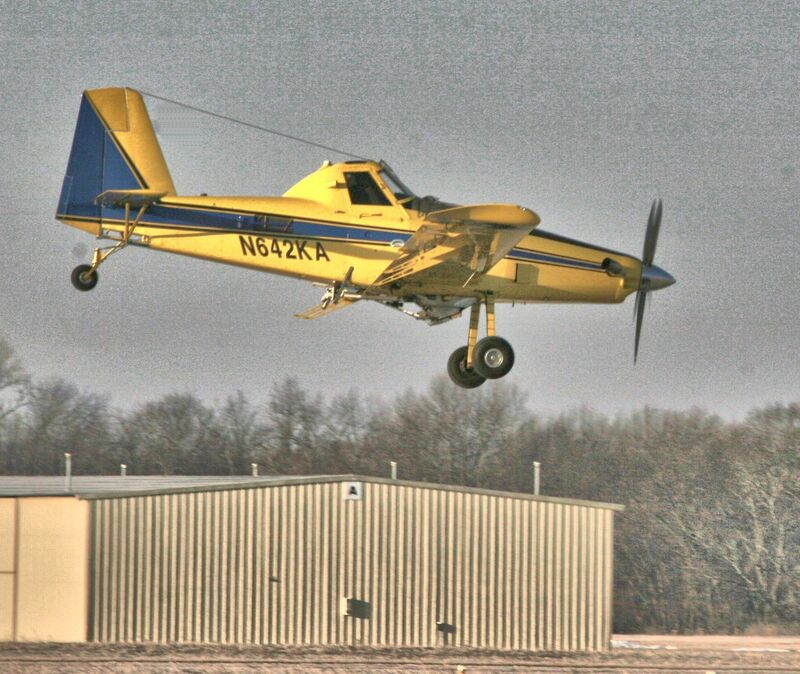 The other AT, a 602, flown by at Air Tractor dealer based in Antioch, Illinois, followed him into the air. 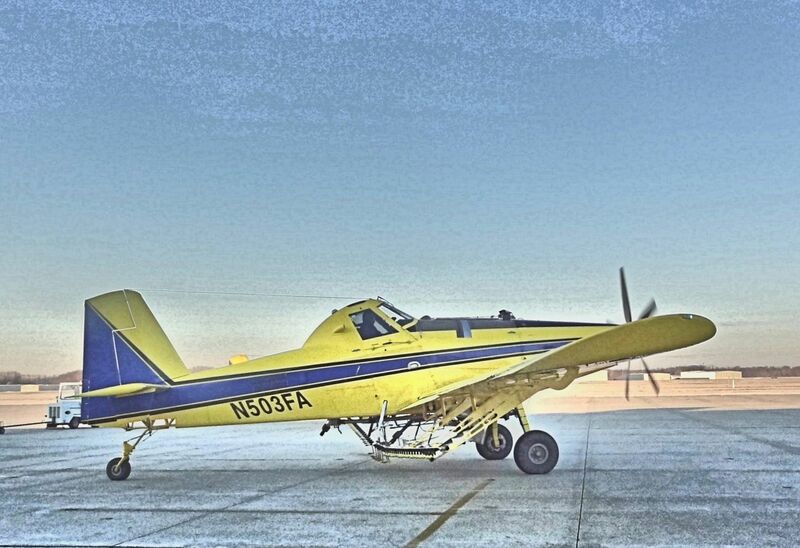 The nose down attitude was a surprise. 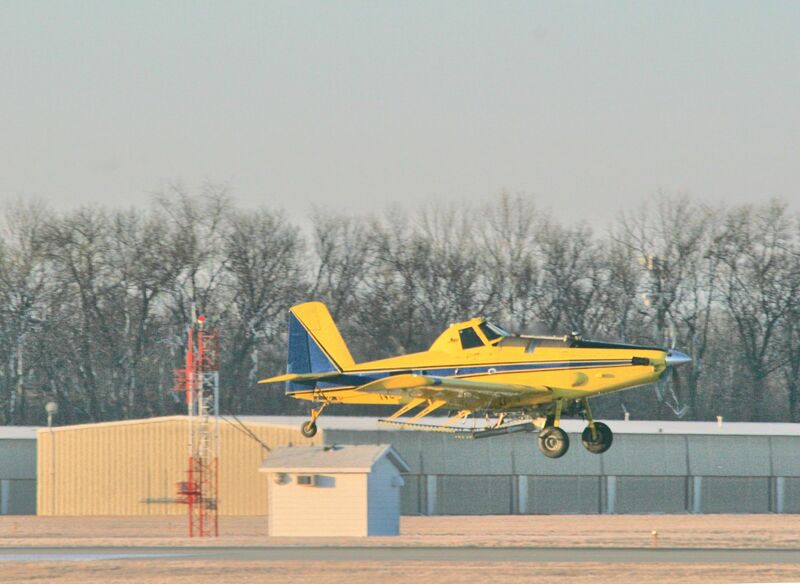 He maintained it most of the way over the runway. 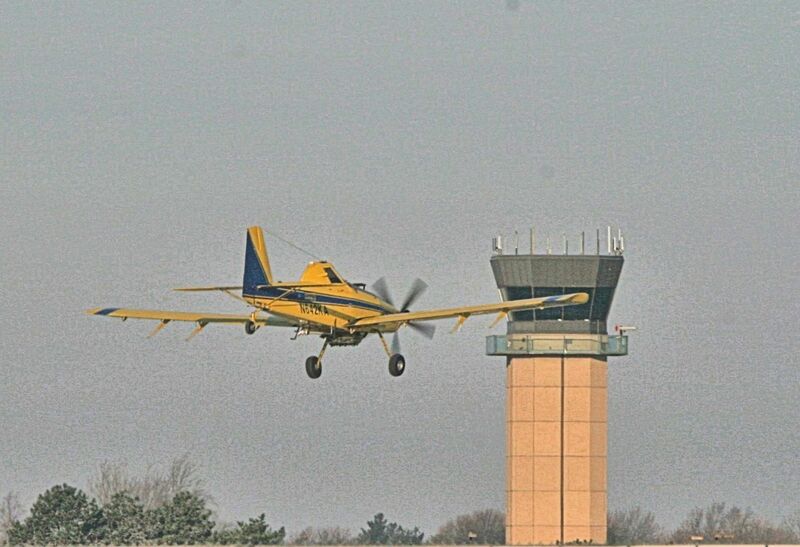 The last picture appears to show him diving toward the control tower, but he was a long way away and beginning to raise the nose.